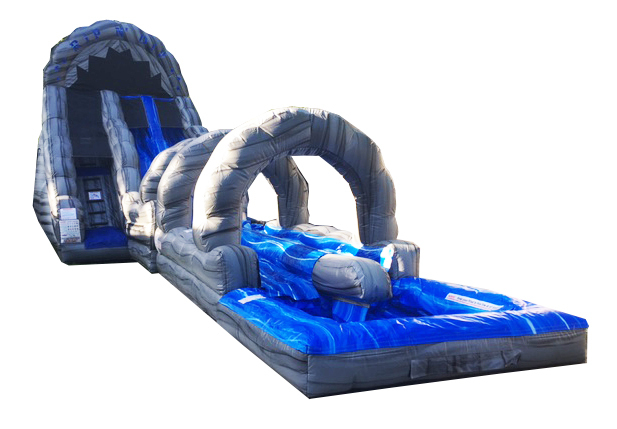 This super slide is for the thrill-seekers in your party! 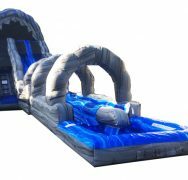 Take a ride on this massive water slide which features two lanes for you and a friend to race down the long slide side by side. Soaring 20 feet into the sky, this slide is a rush you will not forget! 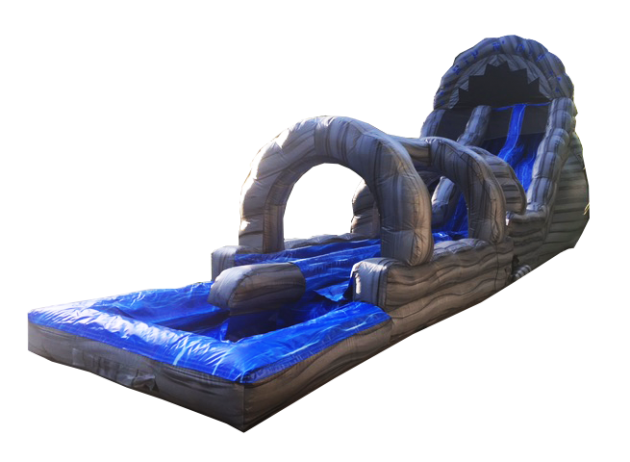 Two humps send you cruising down the slide for 50 FEET before you land in a pool of water. Dimensions: 50 ft long x 14 ft wide x 20 ft tall. 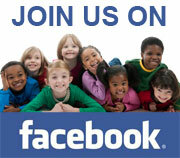 Accommodates 2 to 4 kids at a time. 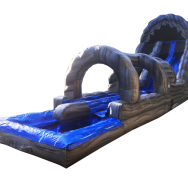 This inflatable slide is also available as a water slide; see the Related Products below.